Under new management for 2019, Debbie and Ian welcome you to Keswick. 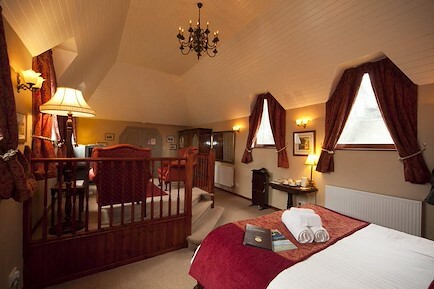 The Winchester offers double and twin en suite rooms with free Wifi, and if you get wet a drying room. Short flat stroll to the centre of Keswick which boasts an excellent selection of shops, cafes, restaurants and pubs, and don't forget the market on Thursday and Saturday. Holding our Mountain Leader qualifications and knowing the Lake District very well we can advise on walks for all abilities, should it be a flat river walk or the challenge of Skiddaw, we can suggest the best route for you. If you don't feel like walking we can suggest some local attractions that should not be missed on a stay in Keswick. Sat nav postcode CA12 4HT. We are located on Blencathra Street just a 3 minute easy level stroll to the town centre. From the A66 take the first turning in to Keswick. At the T junction turn right onto Penrith Road and continue for approximately 1 mile. Follow the river and go past the garage and fire station and take the 2nd turning on your left onto Wordsworth Street. Go on 100 yards and we are situated on the right hand side of the junction of Wordsworth Street and Blencathra Street. Your enquiry will be sent directly to The Winchester (Rooms and Breakfast). Please fill in as much detail as you can.